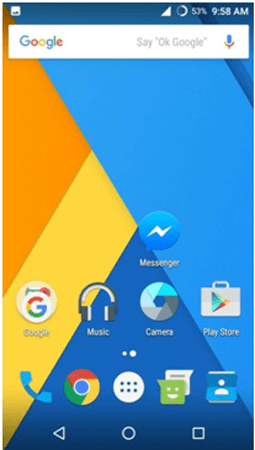 Safe Mode in Android isn’t that different from Safe Mode in Windows scenario. When you reboot Android Smartphone in Safe Mode, third-party applications and other stuff won’t be loaded. On the other hand, your device will be turned on as if for the first time – it means that only the basic apps and drivers will be loaded. For instance, you will not be able to open your Facebook app or Instagram, but have the basic functionalities such as calling and camera (if apps for both are included in the factory version). In case if you were thinking why on earth Safe Mode is there, we can list out some impressive reasons to use Safe Mode. Using Safe Mode, you can understand if there is a virus in your Android device. A normal symptom of viruses includes slow down and undetectable data consumption etc. So, if you suspect the presence of virus in your device running Android, you can reboot the Smartphone or Tablet PC in Safe Mode to know it. Also, in some troubleshooting instances, you can make use of this Safe Mode. So, there’s no doubt in the fact that Safe Mode in Android in several instances. 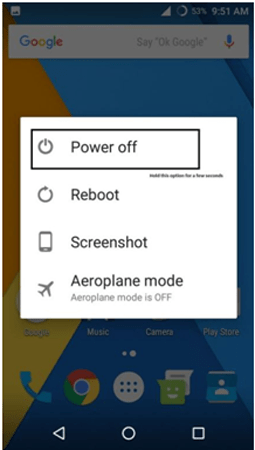 Some of you might know the normal method to reboot your Smartphone in Safe Mode, which needs you to press Volume Down Button and power button during power-up, and chooses the ‘Safe Mode’ option from the menu. Well, yeah, you can follow the traditional method to reboot the Android phone into Safe Mode, but you have a better option, by the way. Hold the power button for a few seconds, whereupon you see the power menu. Depending upon the device you do own, there will be changes. 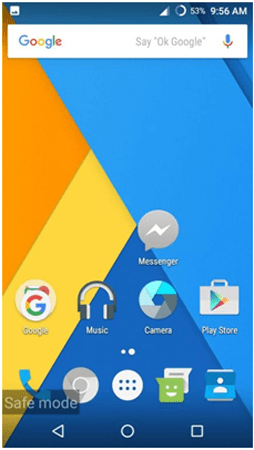 For instance, in the screenshot given below, there are several options – we were using a first-generation Moto G, which is running on MoKee Custom ROM, which is based on CyanogenMod. From the menu, hold the ‘Power off’ option for a few seconds. Soon, you can see another menu that asks you whether you want to boot into Safe Mode. Just read the instructions, and press ‘OK’. 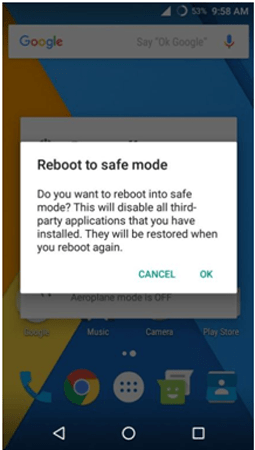 In a few seconds, your Android phone will be rebooted in Safe Mode. As we said earlier, no third-party software will be accessible in this mode, but the pre-built features work fine. So, quite naturally, shortcuts to third-party apps will be dead. Also, there will be a Safe Mode watermark on the left-bottom part of the screen, which helps you identify the mode you are in. Once you have finished what you needed to do – such as, checking for a virus or something, you can reboot your device, quite normally. In a few seconds, you will have the Smartphone in fully-fledged form, with the entire third-party stuff working fine. So, you have seen perhaps the easiest way to reboot the Android phone in Safe Mode. Nevertheless, it needs to be noted that this method is suitable only when you have the phone in working condition. On another instance, if you have some problems with the OS or installation, you would have to use the traditional method. But, as we said, if it’s the requirement to detect the presence of a virus or something, this method would be perfect. Note: On almost all Android devices, this shortcut to Safe Mode will work fine. However, some manufacturers try to curtain access to Safe Mode from the main power menu. In that case, you need to stick on to the hard-reset method, using the volume down and power button combination. Thanks for sharing the secret trick to run Android in safe mode. I accidentally started my Phone into Safe mode by mishandling it. So, I was wondering what is the exact trick to start Android in safe mode, as I didn’t knew it. Thanks again for sharing this trick. We’ve didn’t tried on it Jimmy. Letus know if you have worked on it and if it is not working let us know, we will found out. Thanks for this information. 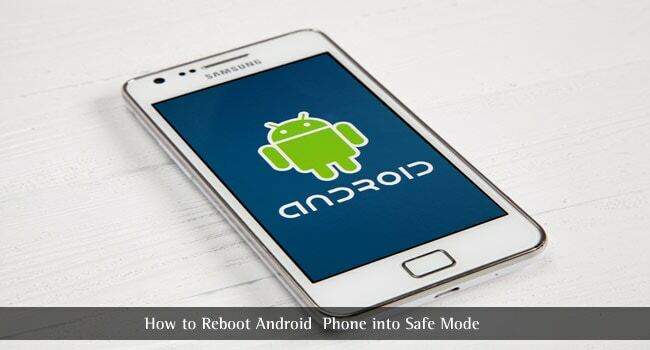 It is really a very helpful trick to boot our android phone into safe mode. I want to know about some other tricks. Safe Mode might come very handy in such situations. 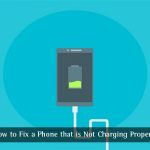 You can boot your Android mobile phone into Safe Mode and then you can uninstall and remove unnecessary or faulty apps thanks for the valuable info. Thanks, the guide helped me. I am using VIVO V3 Max. So all VIVO V3 users, follow this without a doubt.